Experiential Ministries embraces the concept and reality of the adventure of daily living with God. There are times, however, when a real adventure can provide a retreat, a holiday or a vacation from the ordinary that serve to open and enlighten us to Spiritual Truths or serve as metaphors for the With God Life. Experiential Ministries operates Pacific Maritime Ministries and offers tall ship adventures to faith-based groups. Come sail aboard a 90-foot long square-rigged ship. Climb in the rigging to set the sails and haul on the lines (ropes) to trim (adjust) the sails to harness the winds power. This is a truly hands on full participation adventure. 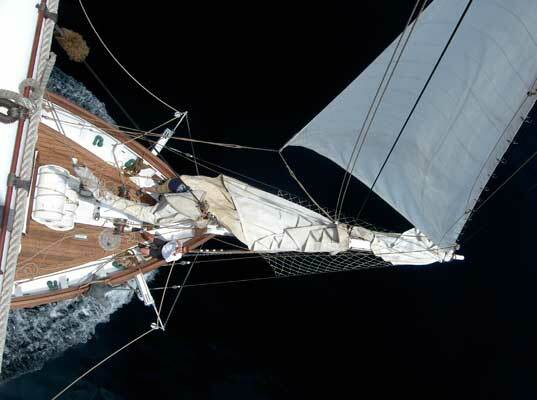 Sailing adventures available for day sails with groups of 12 to 35, and groups of 30 on overnight voyages up to 5 days. Also available small groups (6-4) we offer longboat day trips rowing and sailing a replica of a 1750’s English longboat. A true hands on teambuilding experience.